While mentioning the usage of welded steel pipe, no one could deny their wide application in diverse industries. These steel pipes are endowed with a wide applications. 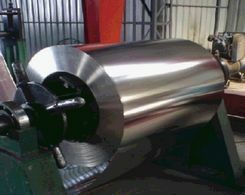 In addition, we should be aware of that the qualifications of the steel depend on the production process. With the different steels, the pipes are separated in varieties. According to the content of carbon, steel pipes could be divided into the high carbon type and the low carbon type. The high carbon steel is characterized by high hardness and so it could be used to create cutting tools. On the contrary, the low carbon steel is designed with high flexibility which makes it to be suitable ingredients of water pipes. Nowadays, other types of steel could be attained to serve your need. It is conceivable that heat would change the shapes of steel pipes. But the properties could be retained. Steel is susceptible to heat and according to your requirements, variable shapes are available. Compared with the low carbon steel, the high carbon steel could bear much more pressure. These pipes are demanded by different industries. Especially for the gas and oil enterprises, there is still a huge gap between the demand and the supply. In order to catch up with the market, the steel pipes are designed with the zinc surface to enhance the anti-rust and anti-corrosion. The price of new steel pipes is relatively higher. Despite of the expensive price, the seamless steel pipes are preferred as compared with the welded steel pipes sometimes. The welded pipes are not designed to be subjected to high pressure. Due to the lack of joints, the seamless pipes are designed with the ability to withstand tremendous vibration. Next:How to Produce Black Steel Pipe?